Community sponsorship’s are just one small way that High Country Toyota in Scottsboro, AL – serving Madison, Gadsden, Albertville, Anniston, Fort Payne, and Guntersville – can give back to the good people in our area. The folks in Scottsboro and the surrounding region have always supported us, so it only makes sense that we support them in any way we’re able. High Country Toyota is proud to offer these partnerships to those in our community with an important cause, event, or organization that would benefit from them. Fill out all required areas in the form below. Any supplemental information you are able to provide will also be helpful. The form must be submitted at least six weeks in advance of your event. If you have any written proposals or supporting documents, please attach them at the bottom. If you would like a sponsorship for more than one event or organization, please submit separate applications for them. Once submitted, a representative of High Country Toyota will review it and if chosen, will be in touch shortly. Due to the high volume of requests we receive, please note that this form is not a guarantee that we will provide sponsorship for your event or organization. We individually review every request that’s submitted to us and will do everything possible to help our community. 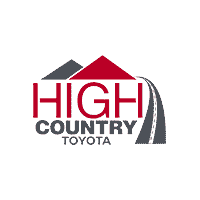 If you would like to speak directly with an employee of High Country Toyota, please don’t hesitate to give us a call or visit the dealership. We are conveniently located at 3011 S Broad Street, Scottsboro, AL 35769.